Your soul comes with your purpose already planted within it. Your gifts are inside, waiting to be discovered. The divine will is waiting to be expressed through your life. Unfortunately, most of us forget what we already know. We get lost. This is where the divine teachings assist us. The universal laws point us in the right direction. They lead us to re-discover what we have forgotten. “As above, so below. As within, so without, as the universe, so the soul” most of us have heard this saying. It is called one of the Laws of the Universe. But what does it really mean when we look at it through the lens of our lives? I love the vibrant health of this tree. It is not only fully supporting itself, it is also providing for the area around it. Everything is vibrant, growing and healthy. We have the light of the truth being reflected in the lamps to light the darkness down in the root system, and to shine out at night to show the way to those seeking the truth. We have the butterfly of transformation. We have the fruit of both the foliage around it and the tree itself. This fruit attracts those seeking food for their souls. It is so beautiful, and it invites you to come and rest. I was listening to a CD by Guy Finley and he talked about the importance of balance in how we show up in the world, comparing it to a tree. Picture the tree having a root system. This root system is as deep underground, as the trunk and branches of the tree that extend high above the ground. It is about balance of the structure of the tree. The balance of the trees roots below support the outward growth above. He stated that if a tree that didn’t have strong deep roots (roots deep within), it would be in danger of toppling over. This was because the growth above ground wasn’t being fully supported. In turn, if all you did was work on the root system, then you would have stunted growth above, no fruits. There has to be a balance of inner and outer work, all happening at the same time. We see this in the ying/yang symbols. In giving, going up the outward growth of the tree and receiving going down into the root system. In breathing in to the root system, and breathing out up the growth of the tree. The constant in/out, give/receive plays out in so many systems in our lives. I thought about this in my own life, and watching the lives of others that I see out in the world. We have all seen a number of people who achieved something great in their lives, who later implode through drugs, drinking or sexual escapades. Think of the Hollywood stars that have overdosed, the politicians and scandals that they have had. Even religious leaders have their fair share when they have built an empire that came crashing down on them. These are all examples of a root system that couldn’t support the upward growth. I am just a tangled thread in the fabric of the cosmos. So what is the root system in our analogy? It is the inner work that we do on ourselves. The roots remind us of where we have been, and who we are today. It takes work to get to know our shadows. To uncovering what I call the popsicle stories. The stories we created as children, to explain something that we couldn’t understand at the time. It is the judgments, traumas and dramas we grew up with. All inner work to discover what they are, and how they play out in the patterns of our life. We must go back and claim our past, as it is what helps us to understand our present and what we can shift and change for a better future. It is developing our relationship with the divine, knowing our souls purpose in being here. It is about asking the right questions to ourselves to discover “our way home” to our true selves and our purpose in being here. It is exploring and questioning every truth we have acquired throughout our lives. Some of those earliest truths do not connect to some of our latest truths. Some of those truths need to be released as they no longer serve us or support our inward and outward growth. To discover that as in the Wizard of Oz, we already have what we are looking for outside of us, deep inside of us in the root system. That we already know “the way to home”. Life is an open secret. Everything is available, nothing is hidden. All that you need is just eyes to see. Home is the place of balance in this analogy. The bedrock of the foundation cornerstone. The place where the upward growth of “us in the world” is equal to and growing in proportion to the inner growth of the root system of our tree. It is the place of awakening. We all have filters in our minds, which serve as a protection. They serve us and sometimes hurt us, because we miss seeing things that have always been there. Have you ever driven down a road that you use all the time and see a store front for the first time? Then you find out it has been there 6 months to a year, and you just never saw it. This is because your filters didn’t reveal it. The more conscious and awake we become the more we can learn to remove the filters so that we can see what is calling out to us. 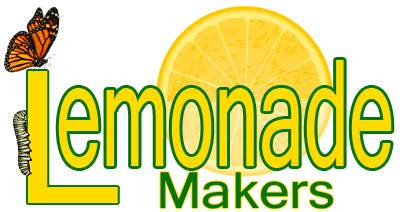 Several years ago, after the murder of my nephew and the collapse of my sisters nonprofit that she had created afterwards, I discovered my souls purpose with LemonadeMakers. LemonadeMakers after several years of inner growth preparation it is starting to grow above the ground. The trunk and branches have been growing, and we are about to have a whole lot of pieces of what I have been working on finally come together. Supporting LemonadeMakers has changed me in ways that I can’t even believe myself. I have grown and changed so much personally. I have seen just how important it is to invest in yourself, and have a personal coach. The time, effort, and money spent means that I have taken the zip line through the jungle, instead of traveling on foot and breaking the trail. Without coaching I know that I would have probably given up. The hero’s journey with this business has suffered setbacks with our website and with the financial freefall that we have seen in the past few years. But with the support of good friends, the support of great coaches, and my own blood, sweat and tears, it is going to happen. I encourage you to seek out personal coaching in some way. It is hard to see what is happening deep within the roots below you and up high at the tips of your branches. A good coach, friend or mentor is a mirror reflecting back what you can’t see. We all need that friend that removes the toilet paper trailing behind us, or smooths out the wild hair in the back of our head. Just remember that every second is a fresh start to begin nurturing the roots and the branches of your tree. Every day is what you chose to make of it, how you are living your dream out in the world. When you have unrestricted flow between the roots and branches of your tree, you will see the greatest harmony flow into your life. You will think of something, and make the connection, and produce the result almost without effort. Can Life Be A Daring Adventure?